Everyone is entitled to be treated with dignity and respect. The ability to live and work without prejudice is a fundamental right, regardless of your background, colour or sexual orientation. Besides the right not to be discriminated against or bullied, fair treatment also includes equal working conditions and pay. Employees are protected against discrimination and unfair treatment by the Equality Act and relevant regulations in Northern Ireland. The Equality Act contains something called the public sector equality duty, which requires public sector organisations to encourage diversity in the workplace. 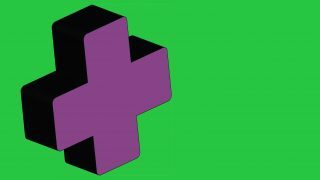 It is also unlawful for employers to have a rule, policy or practice that someone is less likely to be able to fulfil than other employees because of one of the reasons above. We let all members join the discussion on how to provide public services and how equality can be promoted when delivering them. 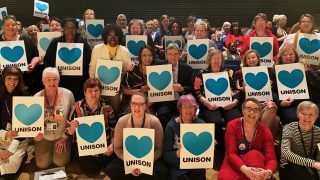 UNISON has a history of improving equality. 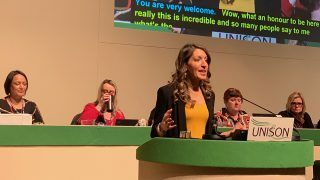 We continue to fight against discrimination wherever we encounter it and regularly help members challenge unequal or unfair treatment, including discrimination, racism, bullying and harassment and equal pay. This Guide aims to help representatives recognise and understand members’ rights and persuade employers to take appropriate action. Quantity is limited to one copy per branch. This is the second year we have run the survey, and the numbers participating more than doubled! A huge thank you to all who took part. 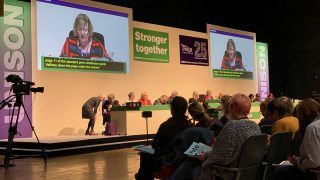 A guide to using the Public Sector Equality Duty to fight cuts, attacks on pay and conditions and discrimination by public service employers. It explains what the duty is and how you can use it, drawing on successful campaigns to date. A leaflet outlining UNISON’s commitment to achieving equality in our workplaces, in our union and across society. 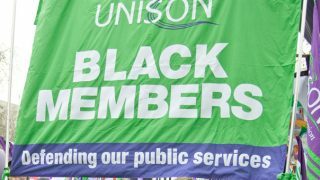 These handy small leaflets define what being Black means to UNISON. Min order 20, max order 50. An A4 guide for branches on how to deal with harassment and bullying at work. It includes a model ‘dignity at work’ policy. This is the first annual survey of the state of equality in UNISON members’ workplaces. It also looks at participation in UNISON, and people’s experience of stress at work. This will be an annual survey, allowing us to identify trends, and where our efforts and resources might best be directed.